The health insurance policies play a very important role in such situations. Any basic health insurance plan helps individuals to manage most of the expenses after being hospitalised. In today’s world, the increasing medical inflation means that treatment costs for any illness can easily go out of pocket. The health insurance policies play a very important role in such situations. Any basic health insurance plan helps individuals to manage most of the expenses after being hospitalised. However, incidental expenses may not be covered in the health insurance policies. Here, hospital cash policy plays a vital role. The policy provides for a fixed payout of money, based on the number of days spent in the hospital. Normally, the policy can cover 30 to 90 days of hospitalisation. Some policies can also cover 180 days of hospitalisation. Such hospital cash policy can be bought by any individual either for himself or for his family member. 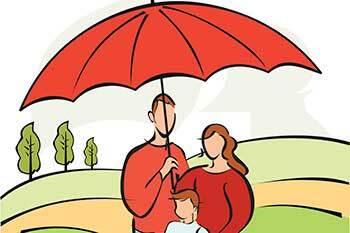 The exclusions to the cover offered by the policy are different for various insurance companies. The most common exclusions include pre-existing diseases, dental related expenses, pregnancy and so on. However, the hospital cash policy should be purchased only after having purchased a health insurance policy with hospitalisation benefits.